This past week, I was lucky enough to spend a few days in Kauai. 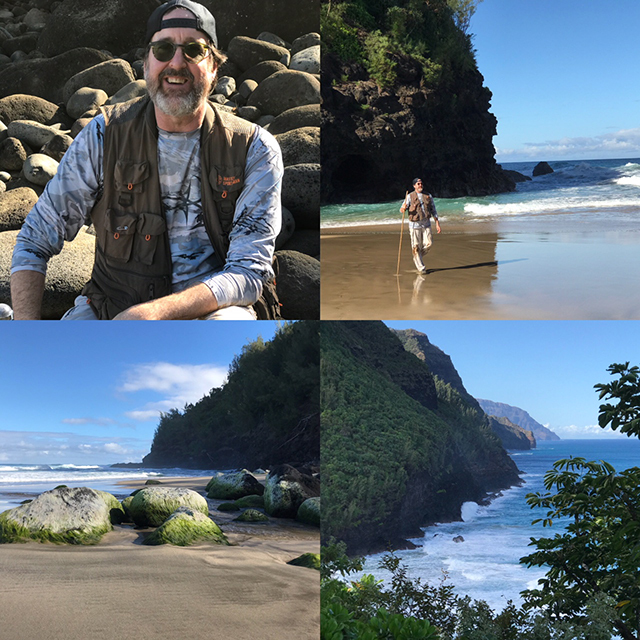 One of the most exciting (beautiful, fun, mentally and physically challenging) things my husband, Keith and I did while there was to hike the Kalalau Trail located in the Napali Coast State Wilderness Park. Because I’m great at daydreaming and less inclined toward research, I didn’t do much reading about the hike ahead of time: my niece told me about it, it sounded fun, off we go! “Off we go” turned out to be a strenuous straight-up, straight-down mud-and-rock trail along a spectacular coastline…..did I mention the mud and the rocks? Eventually we came out on the beautiful beach you see below…. The tricky bit after that was the getting back. 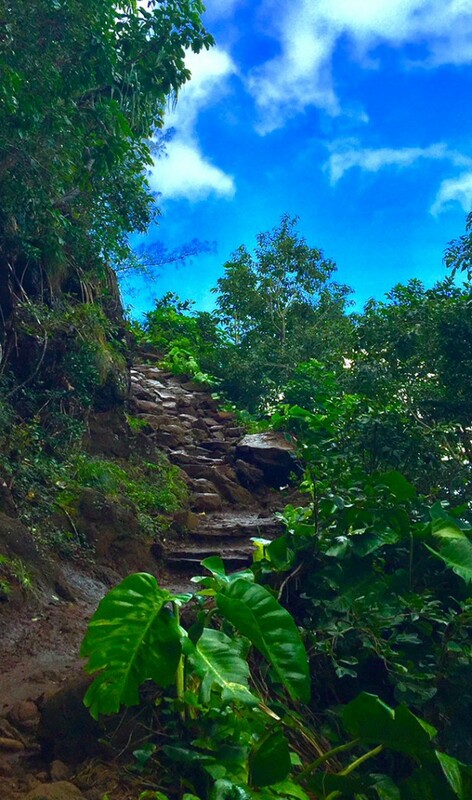 As we slithered, slid and clambered along, focus was paramount in order not to turn an ankle. “Well that’s a blog post,” he told me. As you can see, I agree. Because while there’s a lot to be said for achieving your goals, there’s a beauty to the daydreaming you do on your way there.